This week’s challenge is to share your idea of a Treat. Of course, treats and indulgences can take many forms. Mine are of the edible and drinkable variety. 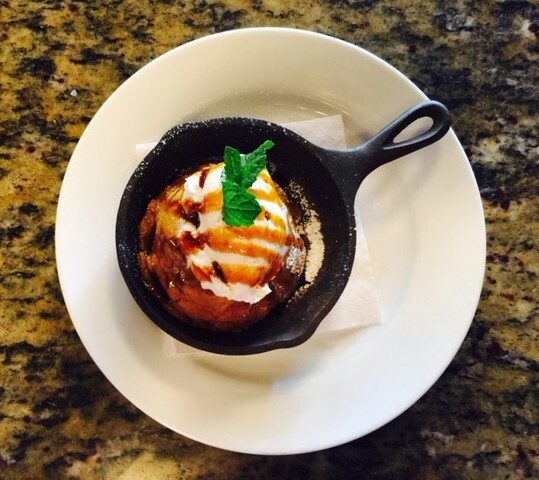 Pumpkin Bread Pudding: Isn’t the little pan just darling? It’s almost too cute to eat. It was delicious, too. Maple Latte: This is my favorite coffee drink. 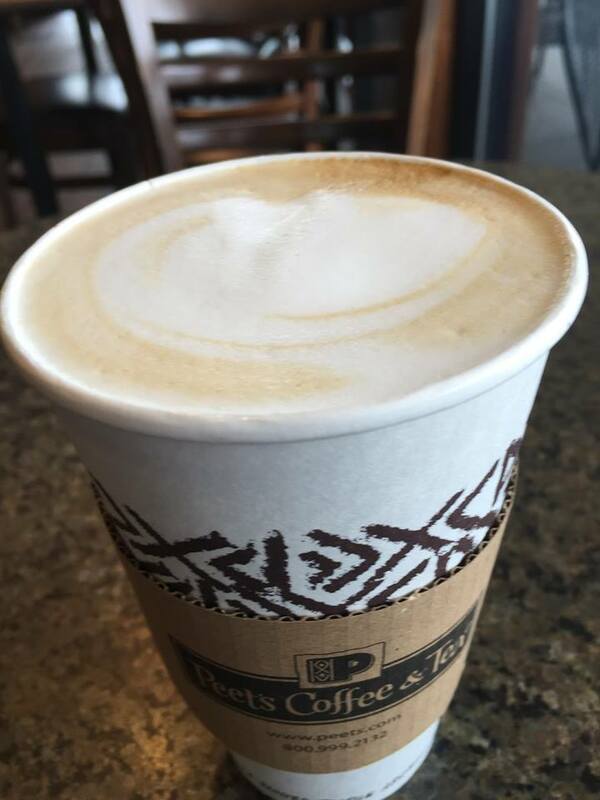 Nothing complements a brisk, fall day more than a Maple Latte. I’m in a state of suspended happiness while drinking one. What did you say? My car’s on fire! Oh, I didn’t hear you. I was too busy sipping my Maple Latte. 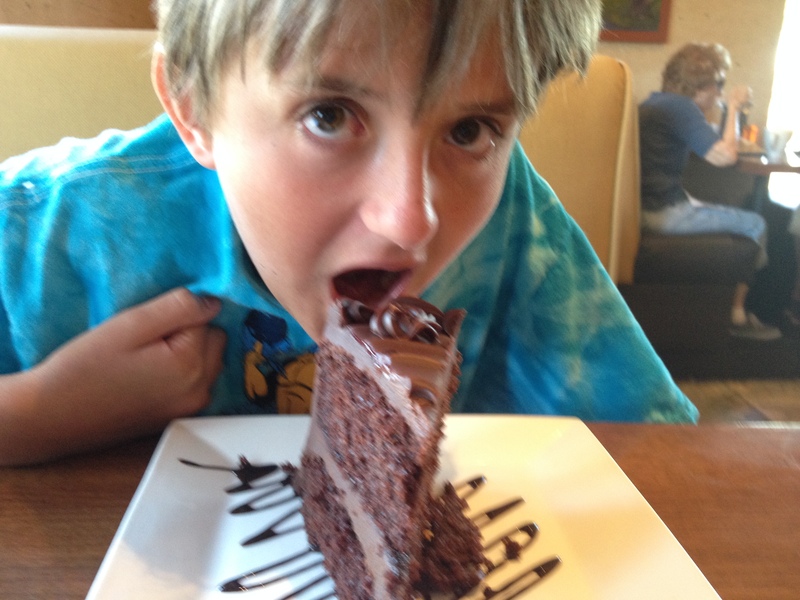 Chocolate Cake: With cake like this, silverware is optional. For more treats, visit the Weekly Photo Challenge site. Oh my. I love bread pudding. I love pumpkin-flavored baked goods. I’m dying here now. Must find some pumpkin bread pudding! I promise. I won’t tell anyone. Your secret is safe right here. I’m with Carrie – look what you started now! My mouth is watering all over my keyboard! LOL! Haha! Grab yourself a treat right this second, Kelly! Quick. I’ll take one of each, thank you! Yes, Kelly. It’s that time of year, too. …always and in any amount ☺Thanks for sharing! Of the three, I’ll go for the first one. Very good, Frank! A good choice. I don’t even know bread pudding. Am now worried I’m severely missing out. Jay, you simply must try it! See if you like it. Bread pudding is one of my all time favourite things in the world. Especially with hot caramel sauce on top. I think it is a carry over from my childhood when my Mom use to make it from old stale bread. Nothing was ever thrown away in those days. Some of the best bread pudding I’ve ever had is in Las Vegas. I have been known to make a meal of it. Now I will be on the lookout for the pumpkin version. My mouth is watering. I’m sure it’s out there! Hey, Audra! Me, too. I can never resist chocolate cake.